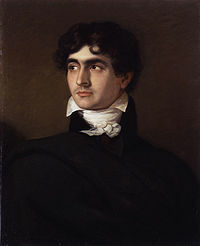 Polidori was hired by Lord Byron in 1816 to accompany him on his European odyssey and he participated in the famous ghost writing competition that took place at the Villa Diodati on the shores of Lake Geneva Switzerland in 1816. The competition spawned Mary Shelley's Frankenstein and also Polidori's The Vampyre - which was based on Byron's incomplete tale 'Augustus Darvell'. Its central character was Lord Ruthven who was almost certainly modelled on the 'mad, bad' poet. However Polidori never managed to assert ownership of The Vampyre and when it was finally published by the New Monthly Magazine in 1819 it appeared under Lord Byron's name. The Vampyre laid the foundations for the modern genre of vampire fiction. After returning from Europe, Polidori moved to Norwich and attempted to set up a medical practice. His arrival here in 1817 was prompted by an invitation from the Norwich intellectual William Taylor - who informed him that a physician (a member of the Martineau family) was about to retire - thereby creating an opportunity for a doctor in the city. While trying to establish himself, it is likely that Polidori worked at the Norfolk and Norwich Hospital - opening a dispensary and treating the poor. The accident almost certainly affected his professional and literary life and contributed to his rapid decline. Harriet Martineau said: 'If he had (happily) died then, he would have remained a hero in our imaginations. The few following years (which were very possibly all the wilder for that concussion of the brain) disabused everybody of all expectation of good from him'. Polidori eventually left Norwich and moved to London where he incurred considerable gambling debts. 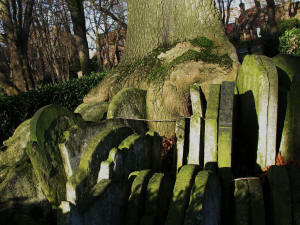 He died on August 24, 1821 from a self-administered dose of prussic acid. It is likely that he committed suicide but the coroner declared a verdict of death by natural causes; he was only 25 years old. 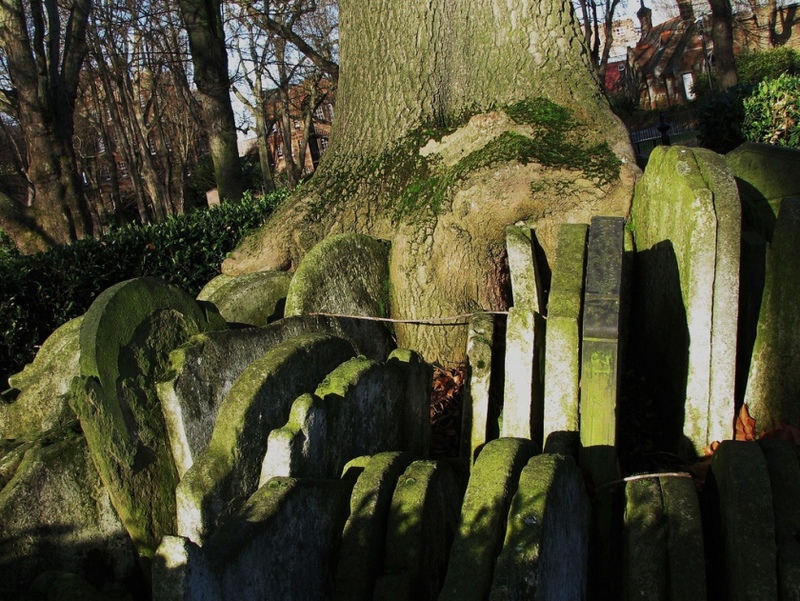 His body was buried in St Pancras Old Church but, as befits the author of The Vampyre, he did not rest peacefully - for in 1865 his corpse was disinterred to make way for a railway line.